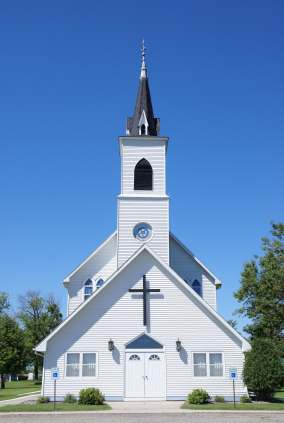 A national religious liberty watchdog group is warning towns and cities against spending Community Preservation Act (CPA) funds on church buildings – a practice that has paid for historic preservation work at dozens of religious structures throughout Massachusetts. Municipalities frequently provide CPA historic preservation grants for local church buildings. Recent examples include projects in Waltham, Cohasset and Holliston. However, in April Americans United for Separation of Church and State (AU) sent a warning to the state Department of Revenue (DOR), asserting that CPA grants to churches violate both the Establishment Clause of the First Amendment to the U.S. Constitution and the Anti-Aid Amendment to the Massachusetts Constitution. DOR, which oversees state CPA matching funds, received a follow-up letter from AU last month, citing a lack of response. AU has sent similar letters to towns and cities in the past. AU raises challenging questions regarding the constitutionality of CPA grants to churches, but the issue is not as clear-cut as AU suggests. In its letter to DOR, AU argues that CPA grants to churches violate the Establishment Clause of the First Amendment to the U.S. Constitution, relying on two U.S. Supreme Court decisions from the 1970s concerning the use of public funds for religious schools. In Tilton v. Richardson, 403 U.S. 672 (1971), the Supreme Court held that federal funds could not be used to construct buildings at a religious college if those buildings could ever be used for religious instruction or worship. In Committee for Public Education v. Nyquist, 413 U.S. 756, 774 (1973), the Supreme Court invalidated a state program providing maintenance and repair grants for religious elementary and secondary schools because the grants were not limited to facilities used only for secular purposes. There have been no subsequent Establishment Clause decisions by the Supreme Court specific to religious buildings. Zelman v. Simmons-Harris, 536 U.S. 639 (2002), upholding a state school voucher program, providing funding for parents to send their children to public or private schools, often religious schools. Given the holdings in these cases, it seems possible that a court may disagree with AU’s position and uphold government funding for the historic preservation of a church (such as a CPA grant), if the grant program is neutral with respect to religious and non-religious applicants, and does not have the purpose or primary effect of advancing religion. This is the conclusion set forth in a 2003 memo by M. Edward Whelan III of the Justice Department’s Office of Legal Counsel, which opined that a federal grant to Boston’s Old North Church did not violate the Establishment Clause. More recently, in American Atheists, Inc. v. City of Detroit Downtown Development Authority, 567 F.3d 278 (6th Cir. 2009), the U.S. Sixth Circuit Court of Appeals upheld restoration grants to churches as part of a city’s downtown improvement program. American Atheists, Inc. did not appeal to the U.S. Supreme Court, so the decision only applies in the Federal Sixth Circuit, which does not include Massachusetts. AU also asserts that the Anti-Aid Amendment to the Massachusetts Constitution (Mass. Const. Amend. Art. 18, 46 and 103) prohibits the use of state and municipal funds to aid a private entity. Private organizations may, however, receive public funds if those funds are provided to advance a public purpose. In Helmes v. Commonwealth, 406 Mass. 873 (1990), the Massachusetts Supreme Judicial Court upheld state funding to a private non-profit group for the historic restoration of the U.S.S. Constitution. Under this theory, if CPA grants to churches have a public purpose (historic preservation), the grants would not violate the Anti-Aid Amendment. DOR endorsed this position in a February 9, 2007 Opinion Letter regarding a CPA grant to a privately-owned building. In its Opinion Letter, DOR suggested, however, that grants to private organizations for historic preservation should require an historic preservation deed restriction to secure the public purpose of the grant. It remains unclear whether AU intends to launch a legal challenge regarding CPA grants to churches. Until this question is addressed by a court with jurisdiction over Massachusetts, CPA-funded church projects will continue to generate debate. This entry was posted in Historic Preservation, Municipal, Uncategorized. Bookmark the permalink. Thank you for an excellent roundup on the subject. I found this post when researching the constitutionality of Answers in Genesis getting public funding for their new Noah’s Ark themed “Ark Encounter” theme park in Kentucky. Based on the two-prong test here, it sounds like the state’s economic development plan likely would pass consitutional muster even as applied in this case – although “Biblical theme park” seems like a bit more of an extreme case than merely funding religious schools through a program designed to fund schools generally. I’d say this’ll be interesting when it gets hashed out in court, but it sounds like even the local chapter of the ACLU is not going to contest the matter, so they obviously think the matter is settled as far as the courts are concerned. Do you have any thoughts on that story? Thanks for your comment. I’d have to learn a bit more about the Ark Encounter theme park, but it sounds like a very interesting case. My sense is that advocacy groups have been gun-shy on this issue based on recent holdings.